Someone in the Battlefield Hardline beta program must have it in for EA Games as they’ve just leaked some gameplay footage. And while EA are desperately trying to take it down you just know you can’t beat the Internet. The game takes forever to load so I’d recommend just scrubbing forward to the 4 minute mark in this video where the actual gameplay begins. And when I say gameplay I actually mean just one person running around doing random things. The motorbikes seem a little off when he’s riding them but the stage is beautifully designed, especially the indoors – and the array of vehicles at your disposal is truly impressive. I love the SWAT Tank styled vehicle that I can imagine the LAPD use regularly to dispense democracy and freedom at 8000 rounds a minute. 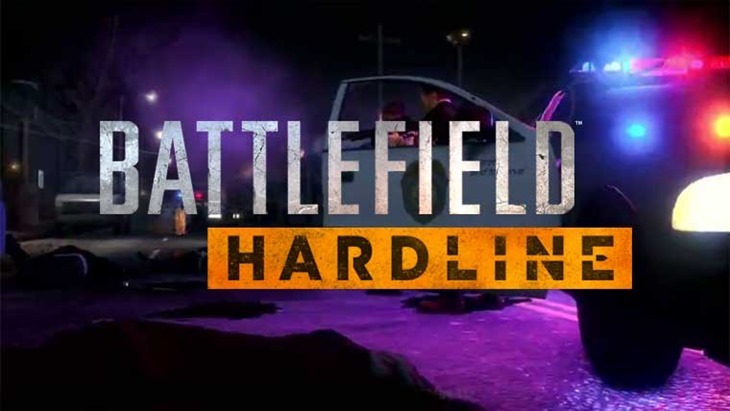 At around 7 minutes into the video we get to see the class breakdown for Battlefield Hardline with you being able to play as either a Operator, Mechanic, Enforcer or Professional. And really there isn’t much more to say. The explosions, lighting and medi packs look awesome and the fact that you can shoot out windows out of the top of the skyscraper gives me hope the destruction engine has been upgraded. There are some parts of the Internet complaining that this is just basically a mod pack for Battlefield 4 and not a full game and to those I say, shut up. This looks awesome and I want nice things. This is far more enticing to me than Battlefield 4.